During the first semester of my senior year, there were “slack-off days” – went home after school and just watched TV while lying on my bed (Ah, those were the days). During those times I really missed watching the local afternoon news and the other primetime shows available in our cable TV. How I Met Your Mother was up at that time. I wasn’t really into American sitcoms, but I tried to watch it because the title was intriguing. (I have read the storyline before in Wikipedia… haha mahilig talaga akong magcheck doon of things like shows or movies I’m curious about without the need to watch or see them first.) Well you can read about it here. 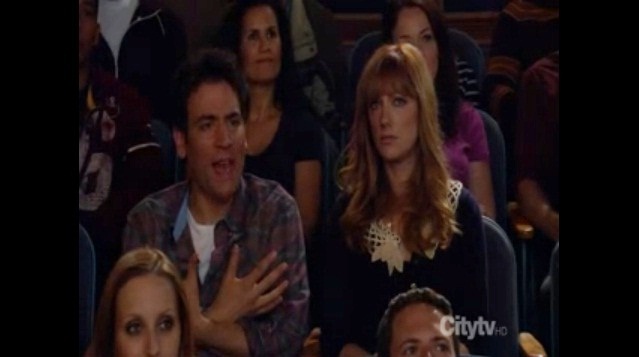 There’s this one episode, where Ted (the main character) is dating a new girl, and is searching for a “baggage” in her. He believes that how seemingly perfect a girl is (or a person), there will still some problems that will come out eventually. One of his friends tells him to just look way past it since everyone has baggage. Another points out that someone who has it doesn’t mean she isn’t date-able. Ted recalls the last time he looked past a girl’s baggage was with his former fiancee. Ted reacting "violently" to the movie..